Jack of all trades & monster fielder of the ball, Shane Galvin is a student teacher. 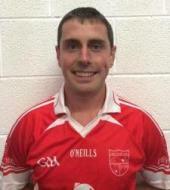 He made his Junior A debut against Donoughmore in 2008. Shane's favourite food is steak. His favourite TV show is Home and Away while his favourite movie is Gladiator. Shane's favourite pastime is none other than gaelic football itself. Shane also enjoys other sports such as hurling, cycling, golf, rugby, fishing and shooting, in which all those show people that he's an all-round guy. 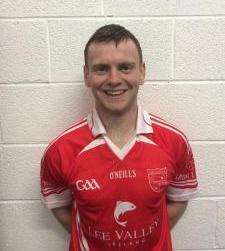 He considers his greatest sporting achievement and best club memory to be winning the Under 21 B Football County Championship in 2012 which was the club's first ever adult football county title. Shane believes Darragh O'SÃ© to be the best player he has ever seen. If Shane could change one thing in GAA - it would be to bring in the mark rule for high fielding. When he was younger, he wanted to be Superman - a dream which proved to be hurtful as be broke his tibia jumping off the couch aged 3, while watching Superman. The person he'd most like to meet is Roy Keane, while he considers the best invention ever to be Snapchat. Marooned on a desert island, Shane could also not be without Snapchat. Add him on Snapchat now: shanegalv. You may not know this but Shane is secretly good at hunting.